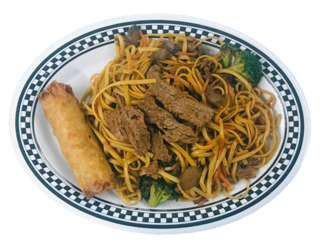 Asian stir fried noodles tossed with broccoli, mushrooms, and carrots topped with steak. Served with a vegetable egg roll and 20 Coke. One E-Cigarette is equal to 2.5 packs of cigarettes.